Francis Prève works the crowd. Photo courtesy the artist. The abundance of music, and the preceived ease of producing it, comes to some as bad news – or even harbinger of apocalypse. But load up a craft with quantity, and quality is what stands out. Francis Prève is a perfect Renaissance producer. With years of experience as a music technology journalist and sound designer, his own, signature flavor of tech-house is uniquely focused on timbre. His label, Academik Records, debuted last year at Austin’s South by Southwest, but it’s just now kicking into high gear. (If you are in Austin for the world’s best known week of music, be sure to check in on the second party, running downtown from afternoon past midnight, for free.) Sure, a city like Berlin is associated with such things, but in the Internet age, Texas works just as well – minus the vitamin D deficiency. Francis has rounded up a gang of emerging and known artists for Academik, and while age range and style are loose – sometimes dubstep, sometimes tech-house – what those signees have in common is attention to detail. They’re a veritable faculty in how to use Ableton Live and Massive so that you don’t sound like everyone else who’s using Ableton Live and Massive just because everybody else happens to be using Ableton Live and Massive. 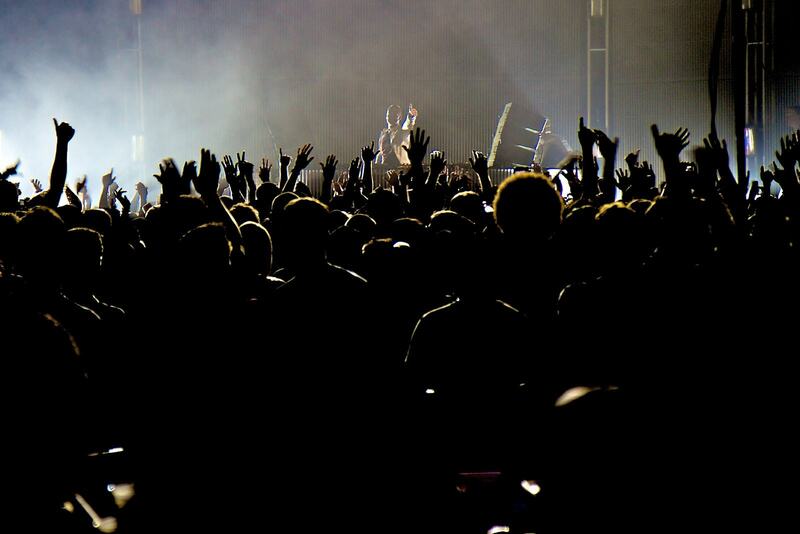 Alternatively, check out the SxSW 2012 Chart Francis put together for Beatport. Anyway, party – if you’re in Texas, go there, dance, have a good time. But if you’re not from Texas, or you’re avoiding it because all your exes are there (okay, darnit, I’ll stop quoting song lyrics), through The Power of The Internet, we have a bunch of music to hear and tips and techniques and samples and loops and Ableton Live Instrument Racks and Sets to download – all free. As it happens, you can be in on the same conversations. Live companion? Yes, outboard gear and software can coexist; Francis covers the workflow for combining gear like this Slim Phatty, seen here in ever-so-flattering wood, with ubiquitous audio production tool Ableton Live. 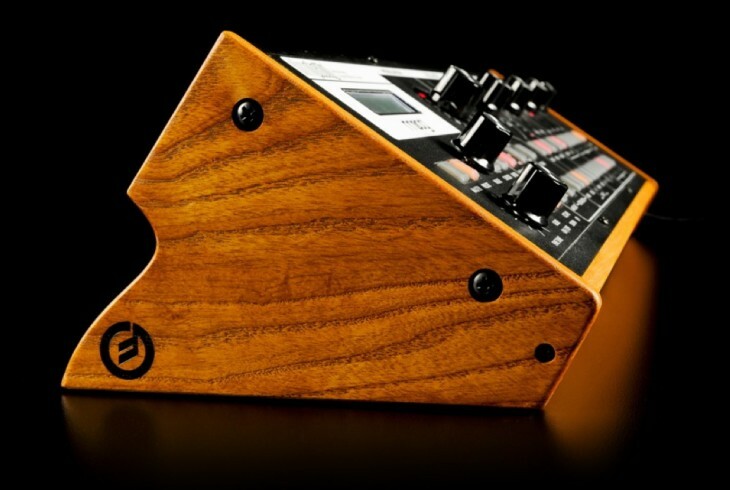 Image courtesy Moog Music. One ongoing discussion has been ways of bringing in a few, select pieces of beloved hardware into a software studio. Even before talking about sound, the motivation is clear: it can make music making a lot more rewarding. And we’re not talking wildly-expensive modular setups, either – even inexpensive offerings like the KORG MonoTribe can get in on the action. A lot of people working with software aren’t clear on just how to make hardware and software integrate nicely. Francis wrote a really comprehensive article on that subject, using his own rig as the subject, for Keyboard recently. The next thing I did was create an External Audio Effect device that sent audio to a device but didn’t receive any audio back … by setting it up to send audio but not receive, I can drop it at the end of an instrument chain within an Instrument Rack and send any soft synth into the Moog, SEM, Dark Energy, or Monotribe. From there, the combined analog-plus-soft-synth audio runs from the analog synth back into a free input on the MOTU, to be recorded in Live. By doing this, I can use Operator, Razor, Kontakt or any soft synth as the “oscillator bank” for one of my analog synths. The whole of digital tone generation combined with the warmth and fuzz of analog filters and the snap of analog envelopes is far more than the sum of its parts. Apart from being a producer, Francis has long been a sound designer, working for the likes of Roland and Ableton His free-sampling, hardware-loving, sound design-addicted spirit has been gradually developing a vast selection of free sample packs on his blog. Some come from software (NI’s Razor), some from new hardware (Moog’s aforementioned Slim Phatty), and some from oddities (my favorite being the Mattel Synsonics drum machine toy). But whereas the Academik Records music will be dependent on your personal taste and aesthetic, here these are sound packs that are versatile enough to bend to your will and needs, and to produce something very different from what anyone else might produce. And that, ultimately, is the point.